The 2019 fantasy football season is in full swing at the FFPC, and we have the ADP above to help you navigate the waters when you jump into their leagues starting at $35 and up. First, we split out the results of the drafts by Contest. 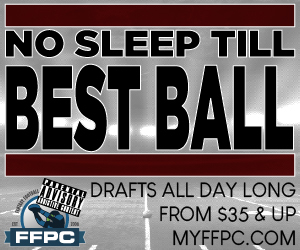 Best Ball, Superflex Best Ball, Dynasty, Classic (20 round), etc. Without doing this, rankings won’t reflect the nuances of that particular type of draft. Best Ball is 28 rounds, Classic is 20, and Superflex will have QB’s higher. Ditto on Dynasty Startup vs Rookie Dynasty leagues. You need to separate between the two. Not all Dynasty’s are created equal. Third, all ADP is updated daily in the AM. You can even see the timestamp of when the data was generated on the table itself. By the way, if you listen to the FFPC podcasts, OUR ADP is the ADP that they refer to when discussing the subject. If that’s not an endorsement, I don’t know what is. Finally, you can click on any player to see a scatter plot diagram and see EXACTLY where a player has been selected in every draft in that format. 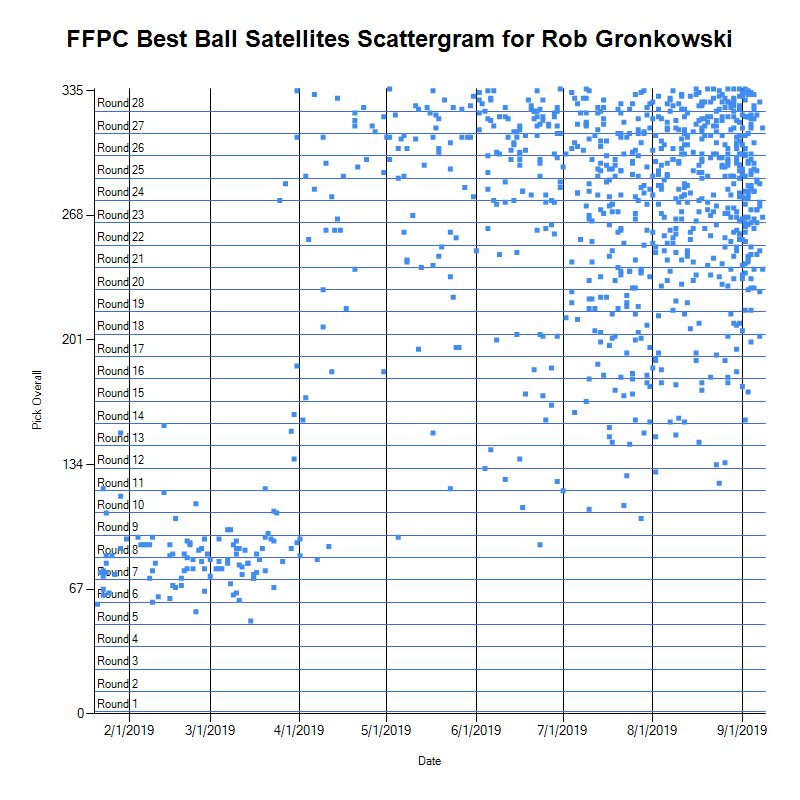 Rob Gronkowski, for example, has been getting selected all over the place over the course of the draft season. FFPC ADP content for 2019 has additional ADP criteria (min, avg, max drafted positions), and also sortable column headers.